Unlike other products in the Apple ecosystem, the iPhone is no stranger to redesigns. You just have to look at the iPhone X to see evidence of that. But this week, Apple was granted a patent suggesting that a future iPhone could really look radically different. 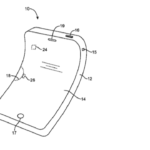 Specifically, the patent describes a device — likely an iPhone — with curved displays. That’s something relatively unheard of in the iPhone world. But it might not be that way forever. 2.1 What About Other Applications? 3 Two to Three Years Away? That flexible display panel, which Apple has explored in the past, could allow for visual content to show up on any part of the housing. That “housing,” by the way, seems to be the patent’s way of describing the actual body of the device. 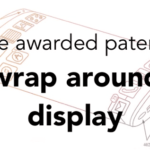 In other words, the patent describes a display that actually wraps around the entirety of the device — including the sides and rear. That’s pretty unprecedented in the world of smartphones and tablets. But it’s not just the display self that stands to benefit. The patent also hints at contextual use buttons that could be tailored for different purposes in third-party apps. That functionality echoes the Touch Bar introduced in recent MacBook Pro models. 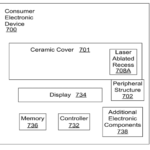 With so much display space available, Apple contends that it could implement two user interfaces: one for the standard and central portion of the device, and another in one of the peripheral areas (the sides or rear). 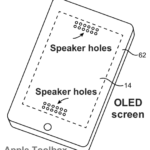 To achieve a wraparound screen, Apple theorizes that it could use a transparent housing with a flexible display panel. The entire chassis of the device could be formed from a single glass tube. Some parts of the glass could be “textured” to disperse light, presumably as an LED indicator. Basically, this patent is more evidence that Apple is continuing to look at ways to make the iPhone stand out in a crowded consumer market. The iPhone is still a top-tier device, but its competitors have largely closed the gap in terms of capability and features. Just consider that when the iPhone first launched in 2007, it was basically the only one of its kind. Fast forward to today, and that’s not really true anymore. The patent specifically calls out the standard smartphone form factor, with an unstable side and back, as inefficient use of space. 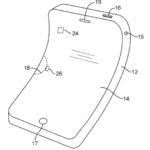 “Therefore, there exists a need for an improved form factor for portable electronic devices which allows functionality to extend to more than one surface of the device,” the patent reads. It’s not just the iPhone that stands to benefit from this technology. 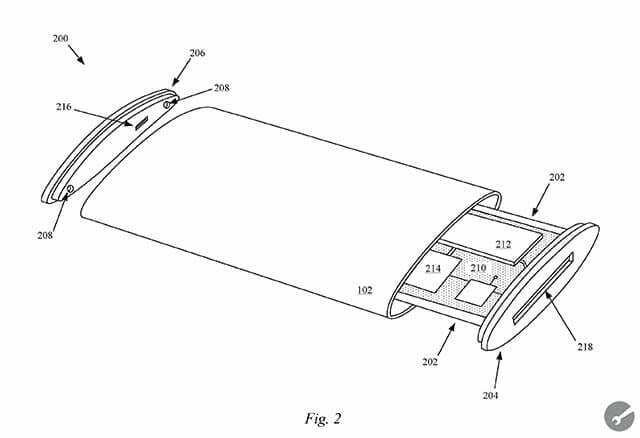 A wraparound display may also come handy for other Apple devices. It might be an easier way to pack more usable display space into a wearable form factor like an Apple Watch. Similarly, a wraparound display could be interesting for a MacBook-like device that can operate both “open” and “closed.” While Apple has shied away from laptop-tablet hybrids, this might be an elegant way to create a device that stands out. Similarly, a curved or flexible display panel with a transparent housing sounds perfect for Apple’s rumored virtual & augmented reality headset. 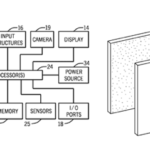 Of course, it would be foolhardy to try and predict Apple’s exact moves by way of a patent. Many patented technology never ends up being used in a final product — and even if it does, there’s no way to tell when it will reach the market. Two to Three Years Away? Taken together with other stories and reports about possible iPhone redesigns, this patent becomes even more exciting. In April, Bloomberg’s Mark Gurman also reported that Apple was developing curved iPhone displays that could hit the market in two to three years away. In that story, the described displays curve gradually and nearly invisibly from top to bottom — unlike the side-to-side curved displays seen on some of today’s Android devices. 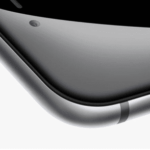 Admittedly, that differs from the curved display described in the patent. But both separate rumors indicate that Apple may be seriously considering flexible OLED panels for one of its iPhones. Importantly, Gurman cited sources familiar with Apple’s plans. 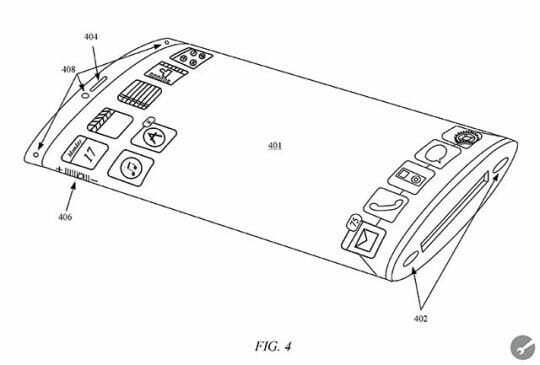 That’s much more solid evidence that Apple is considering curved iPhone displays than a patent. And if you’re at all familiar with the Apple news media, you’ve probably come across similar stories about curved iPhone displays. 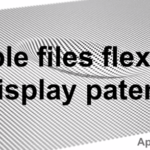 Apple has a variety of patents covering curved, foldable and flexible displays. And quite a few blogs and media outlets have also reported on the possibility. In addition to curved displays, the Bloomberg piece also revealed that Apple is working on some sort of “touchless gesture” technology. That echoes another patent we’ve recently seen concerning Apple Watches.